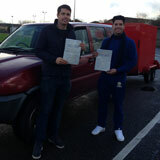 Choosing the right driving school to achieve license for your professional driving is very important. Whether you want license for a truck or lorry or for a bus or coach, you have to ensure that your choice of driving place is best in their job for getting passed in the test. 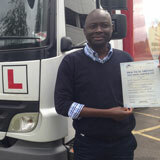 GP training is such one training academy that can give on stop solution for HGV, PCV and for driver CPC license. You can be a fresher or occasional driver or you drive in passion or profession, you might be thinking of how much hour training should I need. And it depends on your skill and abilities. GP training identifies it first by doing a free assessment test and with that performance we decide the schedule of training. The cost, duration and content of the training course is decided thereafter. We have an academy in Kington, UK, provide you a beneficial value for cost training needed for you accordingly. If you are a person took a break from your driving profession then for rejoining you might need refreshing or upgrade skills. For this GP is giving a refresher course to make you ready with new knowledge. Every time there will be changes in the rules and regulation which the drivers needed to be updated. Safety of passengers is the prime important thing while drive on the road. 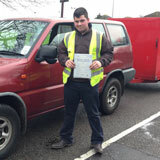 GP is the leading training academy in the UK which is offering LGV training, PCV Training and Direct CPC training. GP Training is a renowned registered and certified training academy that not only provide license but they continue it with maintenance and upgradation work for enhancing your skills and making you an expert of wheels. 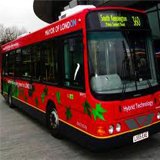 The GP provides training for bus and coach in LGV training. The license required for this category is classified as Class 1, 2,3, it is classified according to the vehicle weight with the trailer or not. Where LGV C , C 1, C1+E are licensed for rigid trucks , C+E is for trucks of weight maximum 44000kgs. Here the E represents additional trailer towing on vehicle of maximum weight 750kgs. Class C licenses are a smooth process and C+E also not a Heraculean task it is just an addition of a trailer to a towing vehicle. Doing little more practice can upgrade your skills and license. Earlier you have to wait 6 months for upgrading the license, but now with the new laws, you can appear for test back to back means after category C you can go for C+E. 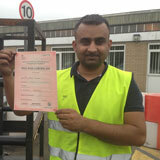 C1+E license for heavy vehicles of goods with an additional trailer. 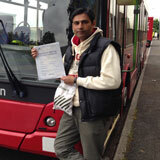 PCV License D allows you drive any of the automatic buses in Kington or UK. After the license is issued you get drive Bendi buses, Single Deckers and Double Deckers. In addition to D Automatic bus with the training you can also get a license D1 minibus. 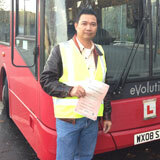 For driving a manual bus or coach you have to take training and pass PCV coach test for D Manual Coach. 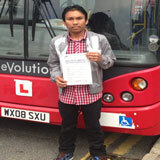 If you have license DI minibus then you can apply for upgrading to the D1+E training course. D1+ E Minibus & Trailer will allow you to drive minibus towing a trailer above 750kg. CPC is a new qualification for driving in Europe. Driver Certificate of Professional Competence is required along with the other category license of LGV and PCV now. All professional drivers have to carry this additional license. For this Driver CPC, the driver has to take a 35 hour periodic CPC driver training. If you are a new driver then you can directly clear the CPC test. That contains 4 drivers CPC Modules; CPC case study, CPC theory test, ability test, test driving and practical test. After that you also need to take 35 hours training periodically for five years. GP is providing driver CPC training every year and the course will enable the drivers to get updated with the everyday changing regulations. It will include the safety and fuel efficiency driving, legal requirements and Safety, health, logistics and services towards the people. With a Driver CPC , you can stay safe and ensure safety of others.